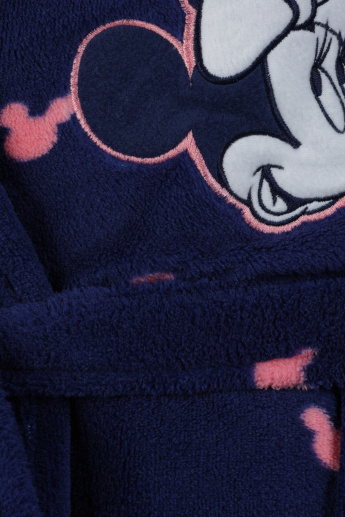 Adorned with a Minnie Mouse print, this lovely printed robe will help you stay snug all day. Featuring long sleeves and a tie-up belt, it will keep you comfortable. Made from a soft material, it is a must-have for experiencing luxurious comfort.